In follow-up to my commentary (Karet - Cursed By The Ancestors) on this week's Torah portion, in contradistinction to the curse of the Ancestors is the blessing of the Ancestors. The curse is brought upon an individual and upon the individual's "collective folksoul" through failure to be true to and to actualize one's uniqueness in sacrifice to the group. The blessing is brought upon an individual and upon an individual's "collective folksoul" through active fidelity to one's uniqueness within the group and through active resistance to the tendency to move toward a group norm (which ultimately is corrosive to the evolving development of the "collective folksoul"). In Celtic Witchcraft, the blessing of the Ancestors is called hywl - "in Welsh the word more often refers to a complex and intangible quality of passion and sense of belonging that isn’t easy to translate but which has been said to sum up Welshness in a word." In Jewish Kabbalah, the blessing of the Ancestors is called achdut - "in Hebrew the word more often refers to a complex and intangible quality of passion and sense of belonging that isn’t easy to translate but which has been said to sum up Jewishness in a word." Commentary on Achrei Mot from Garden of the Dark Moon Jubilee: Karet - Cursed By The Ancestors. I've cancelled my paid email account and will not renew it. My public free email is linked near the masthead. I won't be sending out any email announcements regarding my email address change. The woman was not stricken because her husband had cheated, as men did in those days because women were not 'actualized equals' and couldn't keep up. No! I reject this thinking to the honor of my ancestress. May her soul be blessed. Commentary on Tazria-Metzora from Garden of the Dark Moon Jubilee - Oil of the Left & the Secret of the Red Cow. In follow-up to The End of Innocence - my awesome broom. It was back in the days of the Arthurian legends. I was a young queen-princess. An unusually adept rider of horses and chariot racer for a woman in those days, I competed in many of the kingdom's races. I always won. I won this particular race too - one in which my 'handmaid' rode in the chariot with me. She rode with me for the reason of 'royal propriety' and properliness for a royal lady. Though I won the race, as an observer in the dream and in mindlink with the handmaid, I knew that the kingdom's racers had not competed as hard as they could have because I was the royal lady. They didn't let me win, they just didn't compete as strongly as they could have. Consequently, neither they nor I were driven to push past our already superb racing abilities. The victory was not as full as it could have been, even though it was a good race. The race over, I went to meet my knightly lover. I entered into his humble dwelling. He was in another room bathing after returning from a knightly journey. I went over to the bed beautifully made with a richly red brocade bedspread. Yet, I sensed something was amiss. I looked around. The room was clean, simple and fresh. Sensing like a pea under the mattress, I looked under the bed. Even though the floor was clean, there underneath the bed, was another woman's broom. I jerked it out! Like a javelin, I threw it across the room with amazing force bristles first. Like a spear, it stuck in the wall by its bristled end on account of the great laser-like power with which I had thrown it. Nothing would ever be the same between us again. Oddly, I knew the knight loved this queen-princess even though he had cheated on her. She was his one and only love. But the queen-princess was not his equal in this long ago time - she had been innocent. He was not. She was innocent no more. I have my own broom now. Come out of the bathing room if you dare. The dream changed. I saw the mother of the queen-princess. She and her husband were in their more elaborate but still simply elegant bedroom. She was standing beside the bed folding or unpacking clothes after her husband had also returned from a journey. As an observer in the dream, I saw that the woman wore a pendant exactly like my heirloom quality handcrafted silver and gold pentacle adorned with Celtic knots. She wore matching Celtic tree of life earrings on her ears. The husband had just entered into the room. Not innocent, he had cheated on his wife while off on the journey. They both knew it. It was no secret between them. They were confronting the potential ramifications. The woman was not stricken because her husband had cheated, as men did in those days because women were not 'actualized equals' and couldn't keep up. The woman was stricken because her husband had cheated on her with a particular woman - one that put her in jeopardy. Things would never be the same again between them. I knew that they were soul mates and loved only one another, but it was the end of her innocence. She was going to descend into the deep dark places of the Underworld, into full actuality, and meet him as an equal. He would never feel the need or want to cheat again. She would completely fill his vision and be all that he could see. I woke up with the words uttering through my mind, "Isis wounded me." Yay! 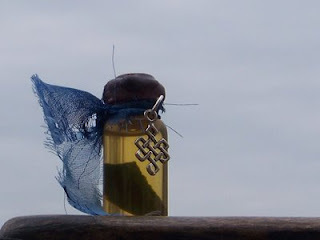 I've finally purchased a camera with zoom and can take clear close-up photographs of items for WITCHCRAFTS by Liorah Lleucu now. 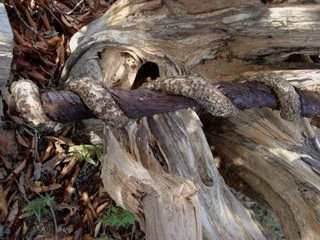 Here's some examples of my photographic success with my new Kodak Z8612 IS digital camera with 12X zoom! It's so easy even a novice like me can capture the fine web of black tulle! I am so pleased with the performance of this camera. Click the graphic to enlarge. Miss Susan Boyle blows the audience (and me) away with her debut performance, singing I Dreamed A Dream from Les Miserables. Don't let this one go! 2000 B.C. -- Here, eat this root. 1000 A.D. -- That root is heathen. Here, say this prayer. 1850 A.D. -- That prayer is superstitious. Here, drink this potion. 1940 A.D. -- That potion is snake oil. Here, swallow this pill. 1985 A.D. -- That pill is ineffective. Here, take this antibiotic. 2000 A.D. -- That antibiotic is unnecessary. Here, eat this root. Excellent interview of author, musician and Scottish magician R. J. Stewart by Feri Tradition witch T. Thorn Coyle here. Insightful. The Remedy For Livelihood Spell Kit is now available at WITCHCRAFTS by Liorah Lleucu. In Jewish kabbalistic tradition a "remedy for livelihood" is called a "segulah for parnassa". My Remedy For Livelihood Spell Kit comes to you born from my own experience with a spell I created and performed for myself when I was unemployed. Importantly, after SEVERAL YEARS of unemployment and underemployment, LESS THAN A MONTH after performing my own segulah for parnassa, I became employed in a full-time well-waged position more commensurate with my skills, ability and education, with weekends and my "alternative holidays" off. May this Remedy For Livelihood Spell Kit bring to whomever acquires it equal success in her/his search for suitable employment and for overall wellbeing. So mote it be! I am having so much fun crafting potions, ritual oils and perfumes, and other items for my etsy shoppe! I have fifteen listings now and have several more in the works. Current items listed are rather expensive - all are made with certified organic botanicals which are not cheaply purchased. For witches who prefer to use the less expensive botanicals, I've added a new section to my etsy shoppe - Frugal Witch. The items in the Frugal Witch section will be crafted using botanicals which are not certified organically grown. 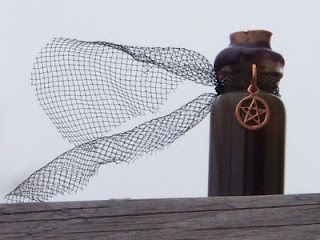 As it doesn't cost me as much to make the items which will be listed under Frugal Witch, these items will be sold with a lower price tag than the items made with certified organically grown botanicals. I'll be adding items to the Frugal Witch section soon! Happy sigh. I love being a witch! Visit my etsy shoppe and see how much fun I am having. You know, WITCHCRAFTS is more than a shoppe to me - it's part of my own spiritual endeavor. In follow-up to an earlier entry about the white sage smudge wand I didn't make, here is an entry about the Full Raven Moon Smudge Wand I did make. 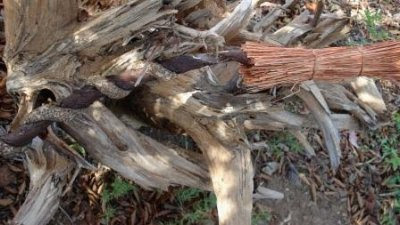 Crafted under the Full Raven Moon during the planetary hour of the Moon, this exotic smudge wand contains buchu leaves and myrrh resin wrapped in leaves of black tang (also known as bladderwrack, seetang, sea spirit, sea oak, meeriche and kelp). All herbs correspond to the feminine power of the Moon and are certified organic. A messenger of magic and mysticism, Raven is a creative and protective totem, bringing light and fire to ancient humankind in Native American folklore. Raven laughs. She is a keeper of secrets, a heroine and a fool, a juxtaposition of opposites, the creatress of the earth and all its mysteries. Bringing light from darkness (אתהפכא חשוכא לנהורא, in Jewish kabbalistic tradition), Raven is cloaked in black yet brings joy and mischievous humor into life. Raise the wind, summon spirits, move the power of the hidden sea, experience transformation, dream prophetically and cast protection spells with the strength of the Full Raven Moon. Available at WITCHCRAFTS by Liorah Lleucu. My bedroom is jammed with craft supplies and tools with which I am using to handcraft items for my etsy shoppe WITCHCRAFTS by Liorah Lleucu. My own spell bottle of Passover Protection Ritual Oil stands before me as I compose this entry. I made one for my mother as well who wanted one too as soon as she saw the etsy listing and mine. Last evening (erev Pesach, a full moon Esbat) as I was puttering around with my supplies, I set several of them on my bed as I was organizing. Among the items I set on my bed was the bowl of ceremonial white sage in pure spring water that I had been softening up to make a shamanic smudge wand. 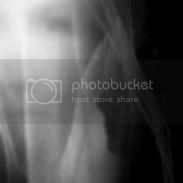 The bowl of sage water became jostled as I was moving things around and I spilled some of it on my bed and on one of my fine long black brocade witch skirts. The particular witch skirt is one a coworker recently remarked to me that it was a "beautiful" skirt, which it surely is. It's so elegant and finely flowing. Anyway, instead of making a smudge wand with this batch of white ceremonial sage, I decided to offer the softened sage and the sage water to the Land instead. And I did so under the power of the full Raven moon of erev Pesach, offering it to the spirits of the Land right outside the door of the house beside the porch on the right. Later this morning, I had a waking vision of unseen forces working together trying to pull my bed out the door of the house. The doorframe was bulging as the unseen forces worked together trying to pull it out, but the Force inside the house and door frame resisted, keeping the bed securely and completely inside the house. The manner in which the door frame resisted reminded me of a biological opening, with strong muscles contracting closed. I felt the forces trying to pull the bed out of the house were baneful forces, seeking to steal my blessing in some manner. The forces trying to pull the bed out of the house through the door were facing and pulling directly opposite the door from upon the concrete sidewalk (in contradistinction to the spirits of the Land on the right side of the door where I had offered my sage and sage water). In other words, the spirits of the Land were in alignment with the Guardian of the house which rested upon the Land. The forces working from the concrete were alien forces. Clearly, the spirits of the Land and the Guardian of the house are superior in strength to the alien forces which sought to steal my blessing. There is power in the Land. Brucha at Yah Elohaynu ruach ha-olam, ha-gomelet l’hayavim tovot, sheg’malani kol tov, selah. I was a young divorced mother of three young children. My middle child is my daughter Amy. Intelligent, strong-willed, determined, bold, compassionate Amy. My daughter has been an advocate for the suffering, for those in need, for those who cannot advocate for themselves since she was a little girl. Amy's compassion is not a wishy-washy bleeding-heart kind of compassion. Her compassion has a strong voice. My daughter had a friend in need. Her friend's mother was in a bad way and had to go away by herself for a few months. During this time, the mother was unable to give a home to her daughter, my daughter's friend. This woman and her daughter had no one, no one at all to help them. I didn't know either of them. But, my daughter knew the woman's daughter, my daughter's friend. Only a child herself, Amy asked me to take her friend into our home for a few months and to give the friend a safe place to stay. I refused, repeatedly, for weeks. I could barely provide for my own three children, let alone the additional child of a woman I didn't know. I had never even met the woman, the friend's mother, the woman in a bad way with need for someone to take her daughter in for a few months, for free. The woman had no money, nothing. There was going to be no compensation for taking this woman's daughter into my home, none at all. Amy wouldn't let it rest. She kept at me until I relented and agreed to take her friend into our home while the mother couldn't provide for her own daughter. Amy made the case for her friend and kept at me until I saw the merit of agreeing with her that this was the right thing to do. This is the strength of my daughter Amy, a strength that has only grown more perfect as she has grown up into a beautiful young woman with a family of her own. Ever courageous and tempered with the wisdom of overcoming her own difficulties in life, my daugher Amy is a blessing in action. This morning I had a waking speaking vision [Formless Fire]. Coming awake, I [Dreamer] saw a glowing coal [Stone] emerging [Star Father] from the midst [Weaver] of darkness [Well]. Simultaneously, the word "thirty-eight" uttered [Utterer] through my mind. The glowing coal is of the kelipat nogah, the inner neutral sacred ground shared by the animal soul [Dream Walker] and the Divine soul [Star Walker], made possible and actualized into reality only through the Torah of the behimah. The behimah [Surface Walker] makes it happen. The number thirty-eight refers to the sha'ar (gate) חל, meaning to occur, to take place, to happen, and to apply the law. It also pertains specifically to the Divine Feminine. The Hebrew letter chet (ח) pertains to Binah and Hod (both numbering 8th of ten sefirot, depending on perspective of observation). The Hebrew letter lamed (ל) pertains to the Yesod [Guardian] of Malchut [Ancestor, past present and future] through the 30-day monthly feminine cycle of the Moon. Thus, חל corresponds to a woman who has integrated these emanant aspects of Being into her made awareness. In other words, חל refers to a woman who can make it happen, who has actualized into reality to bring into Being the neutral sacred ground [Surface Walker] within which the animal soul and the Divine soul are in perfect peace and complete harmony, united and seamlessly integrated into a simple whole. Commentary on Shemini from Garden of the Dark Moon Jubilee - Torah Only A Behimah Is Fit To Do.